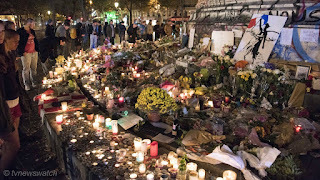 The terror that swept through Paris on Friday 13th of November has left deep scars. But they are scars that may well heal in time. 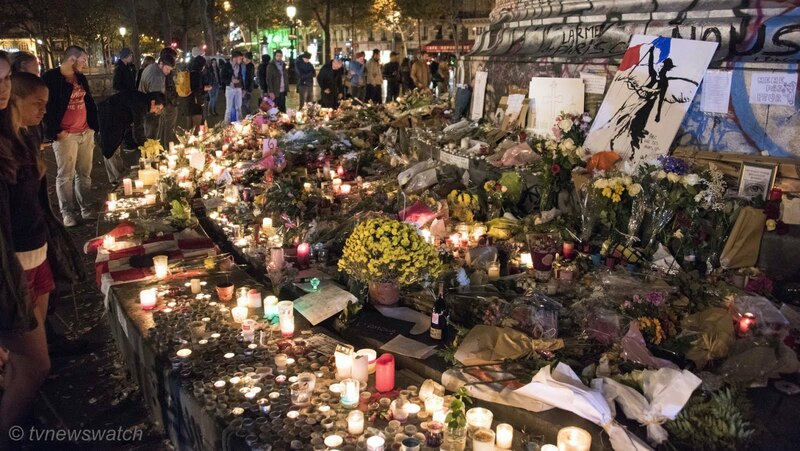 One hundred and twenty nine people lost their lives in the Paris attacks and some 350 were injured. But the attack not only destroyed the lives of 129 people, it also tore families and lives apart. These are the unseen victims; those left behind who must struggle to go forward without their sons, daughters, husbands, wives or partners. Indeed even friends of those who were killed will be suffering. The damage is a psychological one. It is one of grief. And the grief and emotional scars may last many months if not years. Paris-born Christos, 33, believes "in some way" the attacks have changed the city forever. "It's the kind of thing that leaves a scar," he told the BBC amid an atmosphere of quiet reflection outside Le Carillon bar and the Petit Cambodge restaurant where 15 people were gunned down. "We have to stay united and be stronger than ever." Some refuse to let such attacks ruin their lives and have spoken out not with anger but in defiance. Antoine Leiris lost his wife Helene in the Bataclan theatre in Paris. And he is now left to raise his son alone. In a tragic note he posted to Facebook, he insisted that the terrorists would not leave him cowered nor enraged [BBC / Telegraph]. The letter, entitled 'You will not have my hatred' has been shared widely on social networks and drawn much media attention. "On Friday evening you stole the life of an exceptional person, the love of my life, the mother of my son, but you will not have my hatred," Antoine wrote. Antoine admits he is "devastated with grief" but adds that "it will be short-lived." Sadly for many the grief will last a long time and the emotional scars may be difficult to heal. Tears have rolled down the faces not only those directly affected. Even members of media have been struck with emotion. BBC reporter Graham Satchell was overcome with emotion as he reported live from Paris [Guardian / Daily Mail]. Perhaps it's a sign of the times, and maybe it's expected by an audience who want to see that even reporters are human too [Guardian]. Indeed Satchell received praise from viewers for his 'honest reporting'. Ultimately time heals, says Robin Goodwin, a Professor of Social and Environmental Psychology who has studied and examined the psychological responses to the 9/11 attacks in the US and in the subsequent 7/7 terrorist attacks in London. For many there will be constant everyday reminders, such as the bangs from fireworks. Those who survived the Bataclan shooting may find it difficult to listen to their favourite band. Meanwhile an evening meal at a Paris restaurant or an espresso at a streetside café may be uncomfortable for many people in the weeks to come. It took around three months before people returned to their normal behaviour following the 7/7 attacks in London, Robin Goodwin told BBC Radio 5 Live. Of course there are those who had no immediate choice about using public transport. People had to go to work and for most there was no alternative method to get to work. But eventually time heals and people eventually find a way of getting on with their live despite underlying fears. The strengthening of social cohesions also dissipates after a while, Goodwin observes. After 9/11 the French Newspaper ran with a headline "We are all Americans." And after the attacks on the satirical magazine Charlie Hebdo the phrase "Je Suis Charlie" became a rallying cry of solidarity with the French. Following the attacks in Paris last week, there has once again been a showing of sympathy and solidarity. La Marseillaise, the French national anthem, was sung by English and French fans alike at the friendly football match at Wembley that played out on the Tuesday after the attacks. Expats and Londoners gathered in Trafalgar Square on Saturday 14th November in a vigil to mourn the victims and show solidarity. And around the world landmarks were lit with the red, white and blue of the French Tricolor. There has even been an outpouring of grief for Diesel the police dog killed in a terror raid in northern Paris that saw the arrest of 8 suspects and the killing of two others [SMH]. But memories fade, and as they do so too will the comradery. How long indeed before the French are once again criticised for their handling of refugees camped out at the Jungle on the outskirts of Calais or are lambasted over travel disruption caused by striking air traffic control staff or protesting farmers. The attacks were appalling and it is right that people show sympathy and stand with the French following the slaughter of so many people. But in just a few short weeks many people outside France will have forgotten the horror of that day. Even in France the memories of that dreadful day will have faded. For those directly affected, such as Antoine Leiris, it will be much harder to forget. Indeed for those left to look after children it will prove even more difficult as they have to explain why mummy or daddy will never be coming home. But time is a great healer. Even these individuals will eventually be able to put those events of Friday 13th behind them and move on. Indeed, we all need to move on and get on with our lives. To do otherwise is to give the terrorists another victory.